I enjoy a good re-branding story, and long-time readers will know I’m also an avid supporter of the Innocence Project. Today, we have a quality overlap of the two things. As the Innocence Project has moved beyond just using DNA testing to prove wrongful convictions, their old logo wound up being limited, so they’ve updated it. If you’re not familiar with the Innocence Project (as well as its Northeast-specific cousin, the New England Innocence Project), you should be. These organizations work to free wrongfully incarcerated individuals and improve the criminal justice system in America, because no one should go to prison for a crime they didn’t commit. Both groups are very worthy of your donations. Volodymyr Zelensky will soon be perhaps the world’s second-most bizarre head of state.1 The Ukrainian actor and comedian is best known in his homeland for playing the lead role on a TV show called “Servant of the People”. In the show, his character was a high school history teacher who unexpectedly becomes president of Ukraine, after a viral video of him ranting against government corruption makes him a folk hero. Here in reality, Zelensky’s political career has had a similarly absurd trajectory, culminating in his recent landslide victory. Apparently, truth is sometimes exactly as strange as fiction. Today marks the 50th annual Earth Day, which was first observed in 1970. Vox has collected seven things we’ve learned about our planet in just the past year. 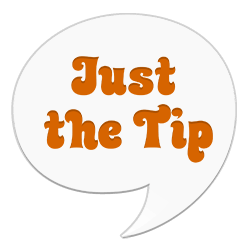 Certainly the most important is how little time the world has left to stop the most devestating effects of climate change. At this point, it’s no longer at all clear if society as we know it will survive to reach the 100th Earth Day. 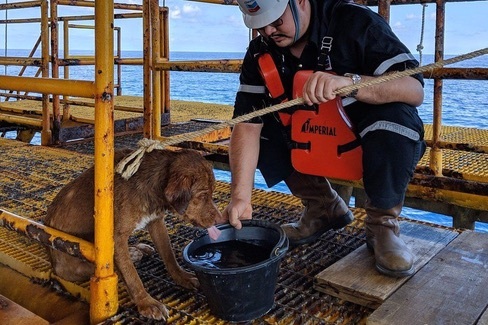 Last week, workers on an oil rig 135 miles off the coast of Thailand were no doubt startled to see a dog swimming near them. They worked quickly to rescue the canine from the ocean, and eventually nursed him back to health before transporting him to the mainland. Please enjoy a collection of photographs of Boonrod, the ocean survivor. An executive working on the team that manages the International Space Station has been accused of using NASA funds to pay for prostitutes. No word on whether his requisition forms attempted to get reimbursement for “space pants”. Rob Gronkowski is a ridiculous individual, and he will be missed. As a parting gift following his recently announced retirement from the game of football, he managed to put a dent in the Patriots most recent Lombardi trophy. It’s overzealous takedowns all the way down. It’s been exactly six years since the Boston Marathon finish was disrupted by a terrorist bombing. Since then, the race has been reclaimed by its many participants and the city itself. Now, a permanent memorial to the victims of that 2013 attack is almost complete, and local poet Daniel Johnson has added his contribution. It is a tight and precise couplet, to be found engraved in two parts, one at each bombing site. All we have lost is brightly lost. Let us climb, now, the road to hope. The words alone are beautiful, but the Boston Globe also did a fantastic job of providing a more in-depth look at the work. Let’s start your Friday off squeamishly, with the tale of a poor Taiwanese woman who had four tiny bees blown into her eye, where they lived for at least a few hours off the protein of her tears. Sweat bees! Living in eyes! The world is a horrible place. We are a massive pop-up experience in Boston that is filled with smiles, laughs, one of a kind installations, multi-sensory immersive rooms, and a whole lot of selfie moments that you don’t want to miss! So this is hell. That’s the thought that kept rumbling in the back of my mind as I made my way through the slapdash innards of “Happy Place,” a grotty, tacked-together funhouse tailored to the Instagram set. The full takedown is well-worth a read, but suffice it to say that Murray Whyte is not a fan. I suppose the headline of “‘Happy Place’ comes to Boston, and it’s hell” should have been a tip-off.